Oh man, I was hoping to see a selfie. Magic coffee in one hand, peace/victory sign with your other hand and an ingenuous smirk on your face. On a serious note, I’ll be checking out Naked when I’m next in Melbs. Do you think the coffee is better in Sydney or Melbourne. I always hear Melbournites living in Sydney complain that our coffee is the worst – but I think it’s OK (but then what do I know about coffee)? Of course I’m biased because I live in Sydney. But I don’t think coffee in Melbourne is neccesarily ‘better’ than in Sydney. Things drive me nuts about both ‘scenes’. People from Melbourne often complain about lack of care/consisteny in Sydney cafes, and say that Melbourne coffee is better. But I think in many cases, it comes down to what you are used to and also knowing where to look. If you live in Melbourne, you know where the good coffee is in Melbourne. Same goes for Sydney. 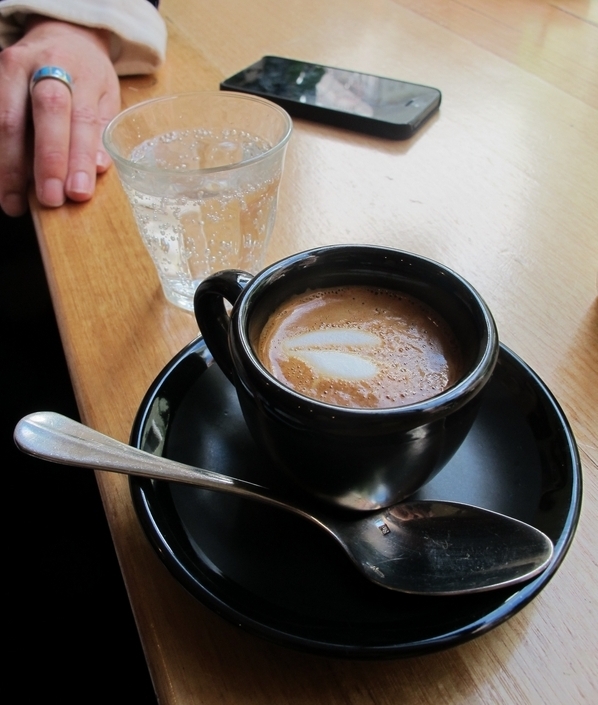 I will say that I find it pretty easy to find exceptional coffee in the Melbourne CBD as opposed to the Sydney CBD. But it is also the case that Melbourne is easy to get around as opposed to Sydney, so this means if there’s some great coffee in Footscray, I can check that out on a weekend trip to Melbs via a quick train ride. If I’m in Sydney for the weekend however, it is pretty unlikely I’ll get to Ashfield or Crow’s Nest or Marrickville. As a Sydney coffee drinker, I have my pet hates about Melbourne coffee. When I order a macch, they ask ‘short or long’. No. There is a macch, and a long macch. There is no short macch. Melbourne roasts often also tend to be lighter. That’s fine, but if you drink your coffee with even a smidgen of milk, that can drown the flavour. 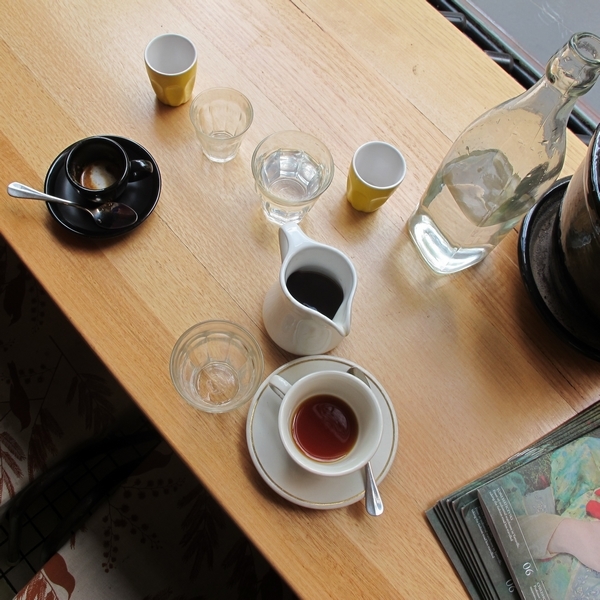 Black coffee, specialty coffee – yeah, it is more common in Melbourne than Sydney. But I’m not sure it is any better. In Sydney, you just gotta know where to look. And that’s why I’m here. Hmmm… I think I’ll visit them in my next trip to Melbourne but for coffee only… I wouldn’t like to pay extra for changing ingredients in a dish (specially if they want to charge me for removing the toast from my egg order!). I’ve been working in the Melbourne CBD for the past few weeks and I agree with you said, it’s easier to find good coffee in the CBD compared to CBD. In saying that, there are plenty of “Donut King” style coffee places in Melbourne as well, same as Sydney. If you want good coffee, you’ll find it no matter where you are. As with Naked Espresso, I’ll have to try dining in because my takeaway wasn’t all the flash, preferred Brother Baba Budan across the road! In saying that the banana and nutella jaffle was awesome. So far I’ve tried coffee at BBB, Naked Espresso, League of Honest Coffee and Patricia Coffee Brewers (very good. Ah, see, I don’t ‘do’ takeaways, maybe I should for research purposes. BBB is a good choice to, but, macch for macch (and picollo for picollo) I got a lot more out of Naked.